John and other kids in Classroom 10 were joined recently by some special guests. 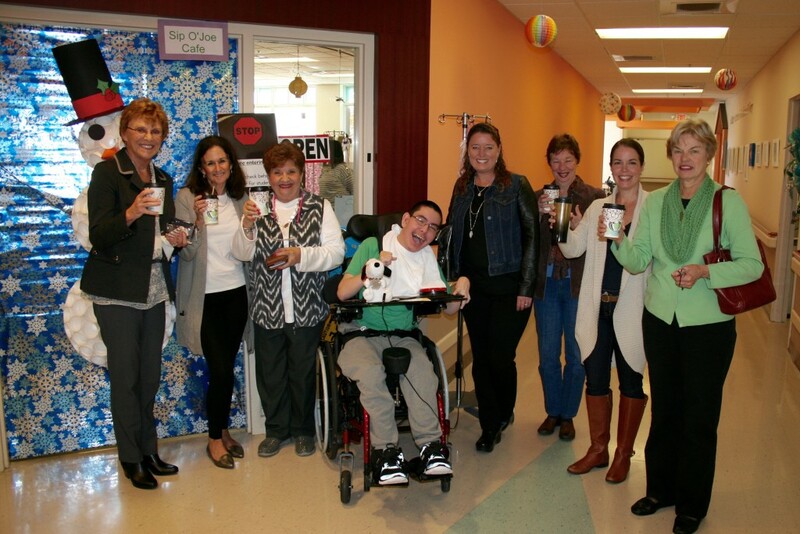 Members of our Auxiliary Board were meeting at St. Mary’s when they stopped by the student-run Sip o’ Joe Cafe for a coffee break. 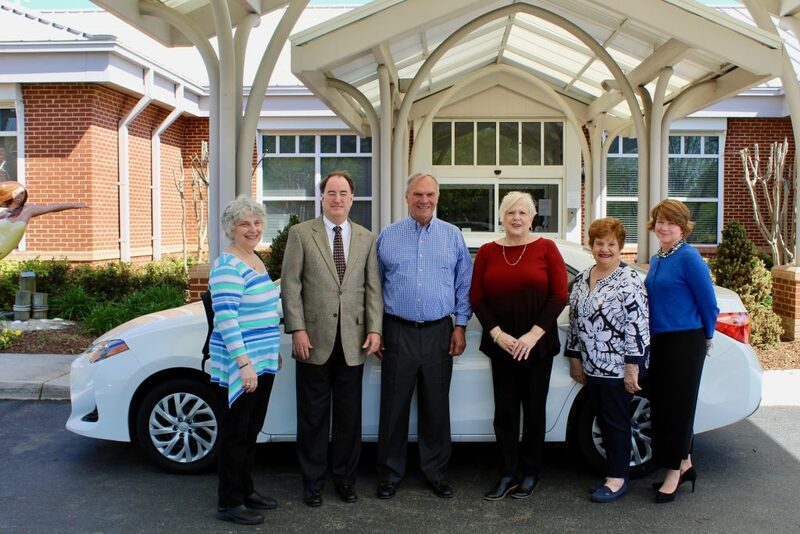 The Auxiliary is busy planning its 11th annual gala and auction, to be held April 16 at a new venue: The Half Moone Cruise and Celebration Center on the downtown Norfolk waterfront. Items up for auction will include jewelry, sports memorabilia and a trip to France. The event will culminate with a drawing for a 2016 classic silver Toyota Corolla donated by our friends at Checkered Flag. For information about the gala or to buy your raffle tickets for the car, contact Mary Helen Hilton, (757) 446-6793 or mhilton@smhdc.org. Or buy your raffle tickets online here. On Dasher, on Dancer … You could win this beautiful Beetle, parked in front of St. Mary’s Home for the holidays, and help children and young adults who have severe disabilities. Raffle tickets are still available for this beautiful Salsa Red VW Beetle, donated by Checkered Flag Volkswagen to benefit the children and young adults of St. Mary’s Home. But don’t delay, because only 800 tickets will be sold, at $50 apiece. 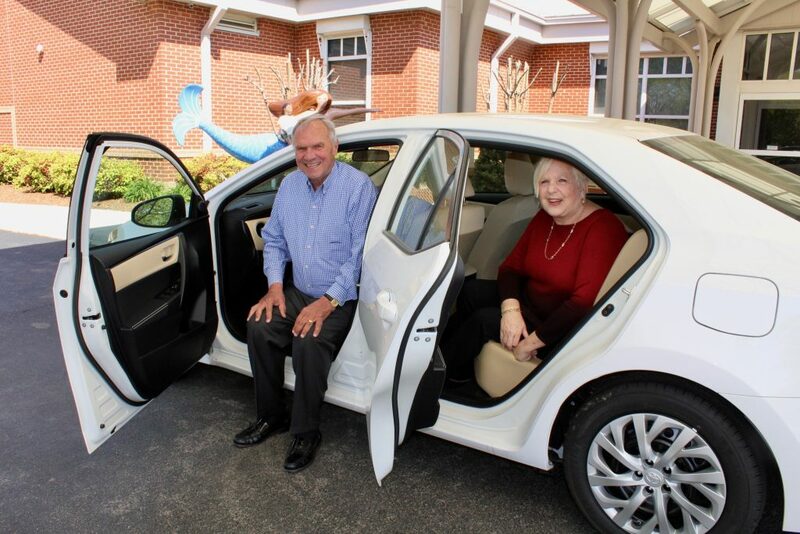 The winning ticket will be drawn during the Auxiliary Board of St. Mary’s 6th Annual Gala & Auction presented by Checkered Flag Volkswagen on Feb.19 at The Westin-Town Center in Virginia Beach. You need not be present to win, but we’d love to see you there. For raffle tickets or more information, call (757) 622-2208 ext. 381 or visit St. Mary’s website. The Beetle pulls up to the entrance of St. Mary’s Home. Checkered Flag Volkswagen in Virginia Beach has generously donated a new Salsa Red 2010 VW Beetle to St. Mary’s Auxiliary Board, which will raffle off the car to benefit the children of St. Mary’s Home. The car arrived on Tuesday, Aug. 3, for display in St. Mary’s front lobby. Raffle tickets go on sale Sept. 1 for $50 apiece; only 800 tickets will be sold. Details coming soon on St. Mary’s website. The winning ticket will be drawn during the Auxiliary’s auction on Feb. 19, 2011. Gathered around the car on display in St. Mary’s lobby are, from left, Kamaia, Amonte, Director of Development Martha Stewart, Auxiliary Board President Karen Hibbard, Jahmari and CEO William C. Giermak, all of St. Mary’s Home, and Todd Collins, general manager of Checkered Flag’s Hyundai/Volkswagen division, and Christine Knowles, eMarketing diretor of Checkered Flag Motor Car Corp., Inc. Seated behind the desk is receptionist Delores Curry. For more photos of the Beetle’s arrival, be sure to check out St. Mary’s Facebook page.